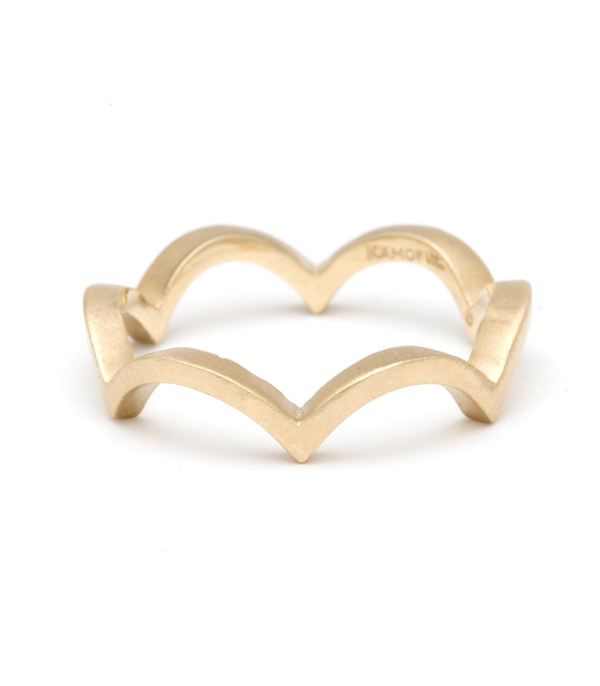 Airy and light, our Small Cloud 14K gold stack ring adds a feminine and whimsical touch to any outfit. 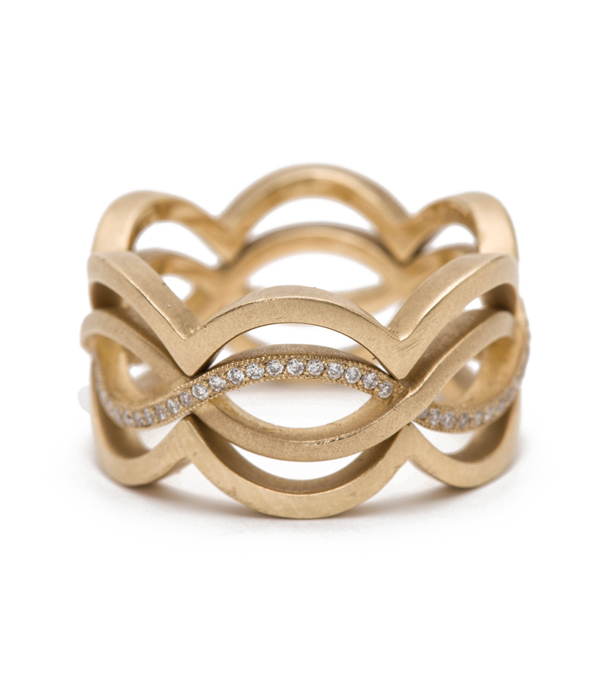 We love the versatility of a ring like this- stack toward another ring and you add a lacy, scalloped border. Point it away and you have a spike-y accent for an edgy-chic look!Modern and edgy: the ideal fit for the stylish gal looking for a piece that has individuality and elegance written all over. Categories: Aria, Rings, Rocking Tradition, Stacking Bands, Stacking Rings, Women's Wedding Bands.